_ _ (Via Carleton University) _ Carleton University’s Board of Governors is pleased to announce the appointment of Dr. Benoit-Antoine Bacon as its 15th President and Vice-Chancellor. Dr. Bacon will commence his five-year appointment effective July 1, 2018. 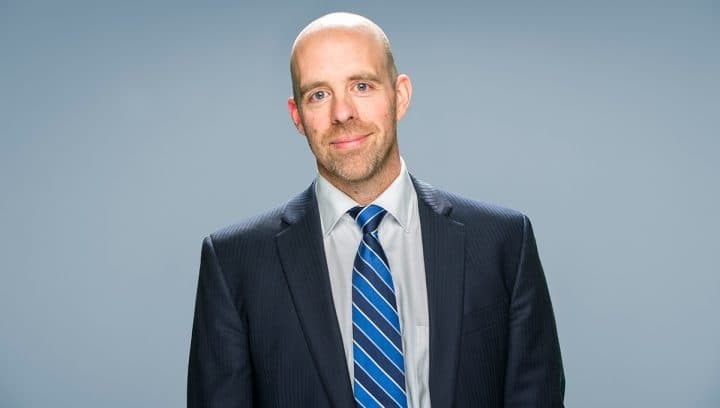 The appointment of Dr. Bacon follows an international search process that engaged hundreds of internal and external constituents at Carleton and in the Ottawa community. “On behalf of the Carleton University community, I am very pleased that our comprehensive search process identified a leader of Benoit’s calibre,’’ said Chris Carruthers, chair of the Board of Governors. “As Carleton begins a new era and its next 75 years, the university community will benefit from the energy and vision that Benoit will bring to the presidency. He is an experienced leader, having worked positions of progressive responsibility at other outstanding universities. An accomplished teacher, researcher and academic administrator, Dr. Bacon will assume his leadership role at Carleton from Queen’s University where he currently serves as Provost and Vice-Principal (Academic). Prior to Queen’s, he served as Provost and Vice-President (Academic Affairs) at Concordia University in his hometown of Montreal. His first academic appointment was at Bishop’s University where he served in a number of leadership positions including Dean of Arts and Science and Associate Vice-Principal (Research). Dr. Bacon will assume a tenured appointment at the rank of professor in Carleton’s Department of Psychology. His research specialty is the neurophysiological and cognitive bases of visual perception. Dr. Bacon succeeds Dr. Alastair Summerlee, who was appointed Interim President and Vice-Chancellor in July, 2017. The Board of Governors and administration extend their appreciation to Dr. Summerlee for his service to the university community during his interim appointment. Located in the nation’s capital, Carleton University is a dynamic research and teaching institution with a tradition of leading change. Its internationally recognized faculty, staff and researchers provide more than 30,000 full-and part-time students from every province and more than 100 countries around the world with academic opportunities in more than 65 programs of study, including public affairs, journalism, film studies, engineering, high technology, and international studies. Carleton’s creative, interdisciplinary and international approach to research has led to many significant discoveries and creative works in science and technology, business, governance, public policy and the arts. As an innovative institution, Carleton is uniquely committed to developing solutions to real-world problems by pushing the boundaries of knowledge and understanding daily.